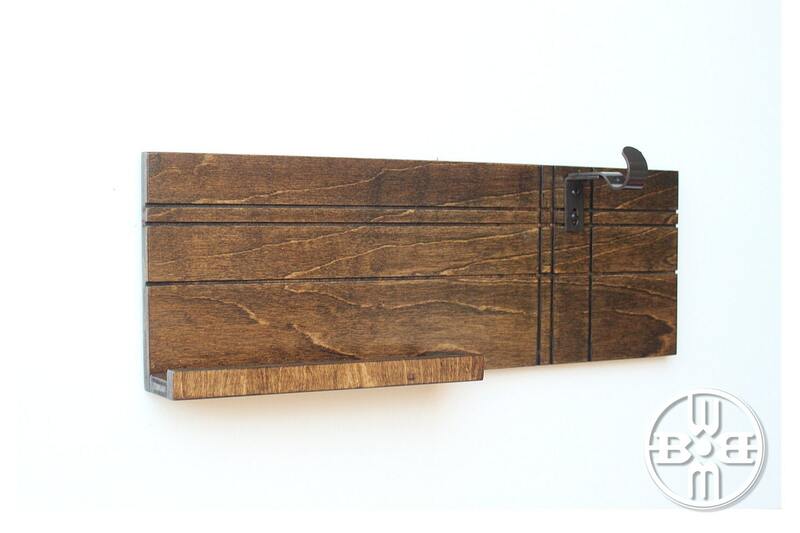 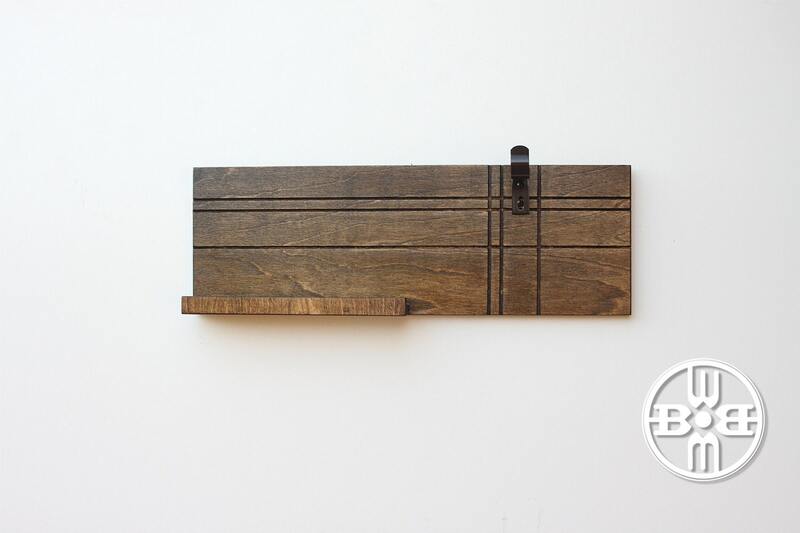 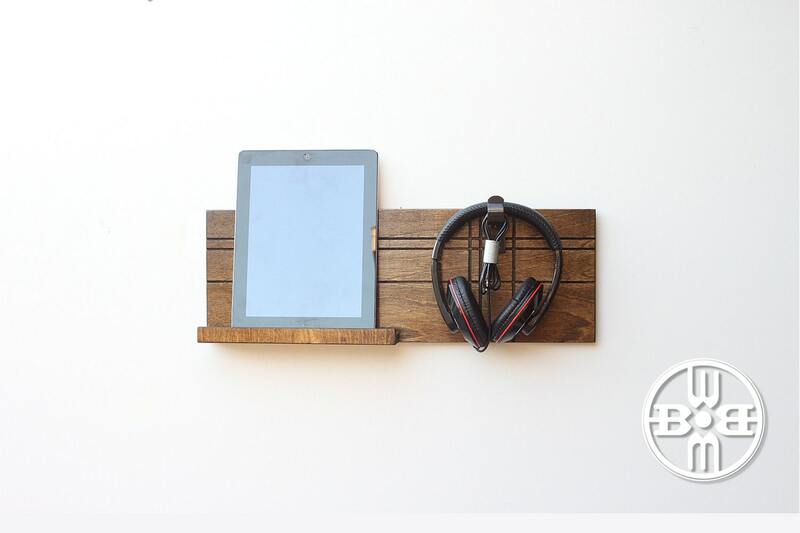 Made of wood artfully hand tooled in a pattern of inset intersecting horizontal and vertical lines, our tech accessory product features a 10" Wide x 2" Deep shelf for holding your device, small accessories or whatever you choose, along with a 4" metal hook for your headset. 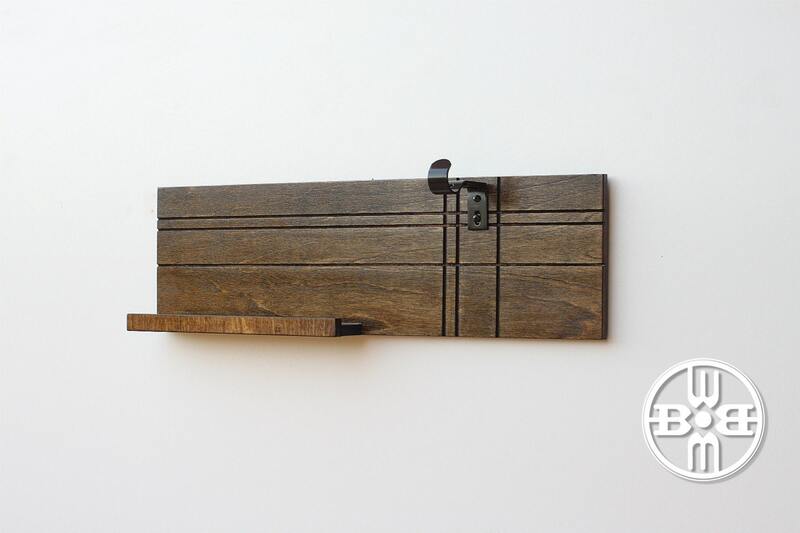 It is easy to install using two sturdy keyhole hangers mounted on the back of the item. 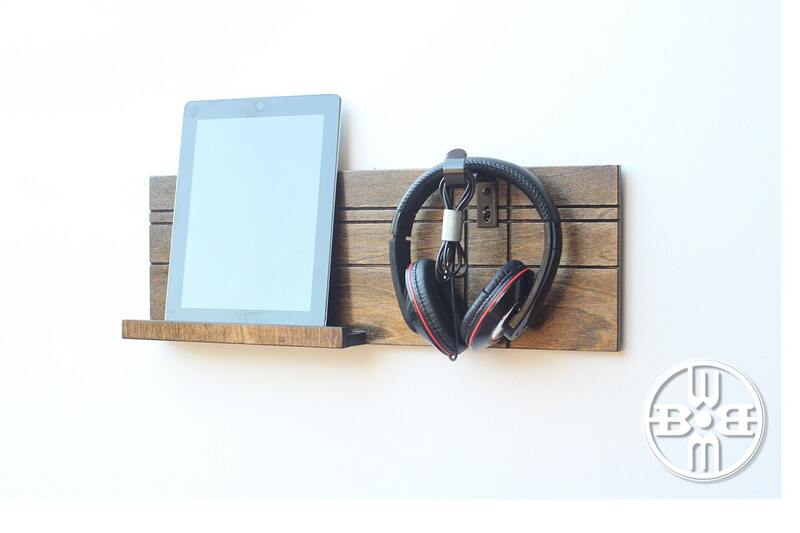 • Your headphone holder / iPad wall mount ships via USPS in 5-7 business days following receipt of payment.